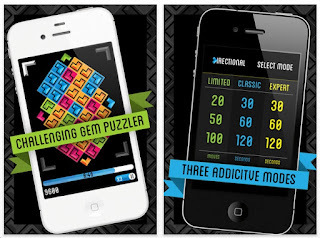 'Directional - Gem Matching Game' is the name of this point-scoring puzzle app game. 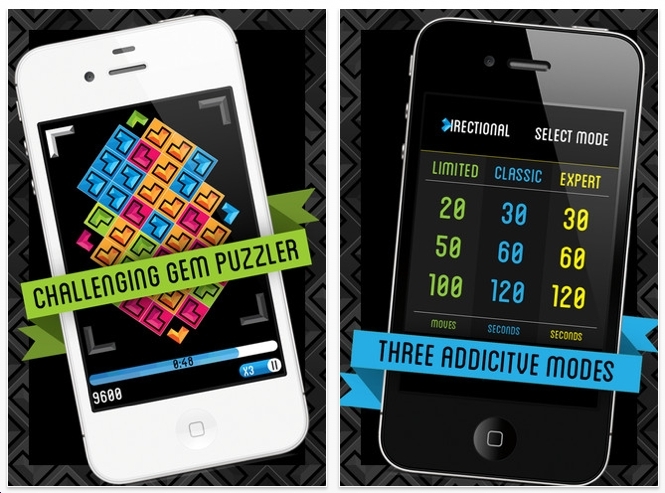 The object is to score as many points as possible by tapping on groups of like-colored gems. Naturally, the bigger the group, the more points you will get. This game can be played with a limited amount of time. What I like better is the limited number of moves mode. I am very surprised at how good this game is. Mike Hince is the developer. Right now the game is free, so download it. Mike has informed me that some changes are afoot. 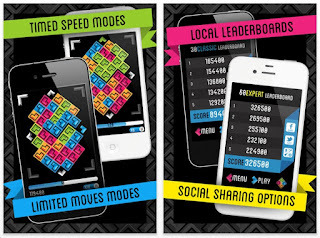 Hey, we've had to change the link to the app and retitled it "Directional Dash: Block Breaking Blitz"